It’s turkey time, which means every football fan in America has to sit through a Detroit Lions game. But, if you are a fantasy football fan, you don’t care because it’s all about the individual players anyways. The game within the game. This article will focus on the three-game Thanksgiving slate of games. The Detroit-Chicago and Dallas-Washington games might coincide with your turkey coma and mid-afternoon nap, but you’ll definitely want to be awake for the New Orleans-Atlanta night cap. It probably won’t provide the fireworks of this past Monday’s crazy Rams-Chiefs game, but it does have a 59.5 projected total. We’ll be focusing on DFS plays. If you are a season-long player and have some decisions to make for Week 12 with players that are suiting up on Thanksgiving Day then this might help you, as well. Remember that there are no guarantees when it comes to fantasy football. If there was, we’d all be rich and retired on an island somewhere. Somebody is going to have a monster game that we don’t expect and there will be at least one star player that burns everyone. We provide summaries of at least three players at each position. We’ll give you the stud that we have the most confidence in that will eat on Thursday. We share with you our value play – from a price standpoint. And, we give you the player that you should be most cautious about. Both FanDuel and DraftKings have fun little $0.25 tournaments that offer four-figure first-place payouts. FanDuel has a tournament that you can turn a $9 into $100,000. On DraftKings, you can turn $20 into $200,000 with one of their tournaments. Remember to check the news and injury reports, leading up to roster lock. Nobody knows exactly what will happen from week to week in the NFL but use all the information and resources available to you to make the best decisions possible for your lineup. We believe in having a good process and good rationale. Good luck and have fun! Also, feel free to hit us up on twitter @Couch_Potato_GM or @WinningDFS101 and we’ll do our best to answer your specific questions about a player on this slate. Drew Brees is the man this week. Matt Ryan could outscore him from a raw points perspective, but I think it is highly unlikely unless Ingram and Kamara do all of their damage on the ground. This game has a 59.5 o/u. Brees has earned 28+ fantasy points in each of his last three games and overall is averaging more than 30 DKFP in the 5 games inside of the NFL’s version of Coors Field. When these two teams met earlier this year, Brees went for 396 yards and 5 TDs while earning 43.54 DKFP and 40.54 FDFP. His price is steep on FD but it is still only $400 more than Matt Ryan. The Falcons ranked dead last for fantasy points given up to Quarterbacks. I will be spending up on Brees hoping that he can break the slate with another monster performance against the Falcons UNLESS we get credible news that Trubisky will be healthy enough to suit up and healthy enough to still be effective (he’s listed as day-to-day as of this writing). If he is good-to-go, I am playing him. If he sits out, I play Brees. Certainly, Brees is better but Trubisky has been a strong fantasy play this year – just ask a couple of new millionaires who saw their bank accounts explode as a results of Trubisky’s performances (e.g. Week 4 – 46.46 DKFP and Week 10 – 39.00 DKFP). Overall, he has 4 games of 30+ DKFP this year. The Week 10 performance of 355 passing yards and 4 touchdowns (3 passing, 1 running) came against the Lions. He has as good of a floor as any QB in the NFL because of his ability to run for 40-50 yards per game. The Lions have not been good against the pass this year and Trubisky is a good fantasy QB in an elite matchup – if he is healthy. Stafford is the 3rd highest paid Quarterback in the NFL and has had eruption spots in the past. However, 2018 has not been a good year for Stafford from a fantasy perspective. He has only topped the 20-point mark three times on DK and twice on FD, with his season-high being 28.68 DKFP and 24.68 FDFP. Two weeks ago in Chicago, he had 17.86 fantasy points when he threw for 274 yards with 2 touchdowns and 2 interceptions. He doesn’t have all of his weapons available with his security blanket Golden Tate now in Philly and injuries sidelining Marvin Jones, Jr and Kerryon Johnson. On a short slate like this, I am not opposed to playing Ingram and Kamara together – especially against this Falcons defense that just gives out fantasy points to Running Backs like they are Oprah giving out cars. The Falcons have given up at least 20 fantasy points to a RB in every game this year except one. They have given up 30+ performances an astounding 5 times, including last week to Ezekiel Elliott. 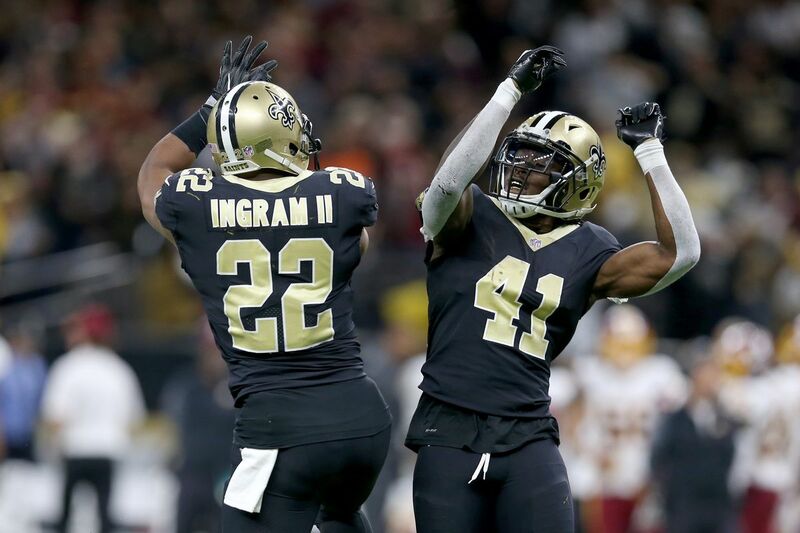 In the last two weeks, Ingram has accounted for 53.50 DKFP and Kamara has “only” had 44.00 DKFP. Kamara has huge big play potential and Ingram has huge touchdown potential. Also, in case you had forgotten, Kamara went for 15-124 as a receiver and rushed 16 times for 66 yards the first time these two teams met. Since Ingram has returned from his PED suspension, the duo has combined for 37+ DKFP four different times. Ingram has had back-to-back 100-yard games. 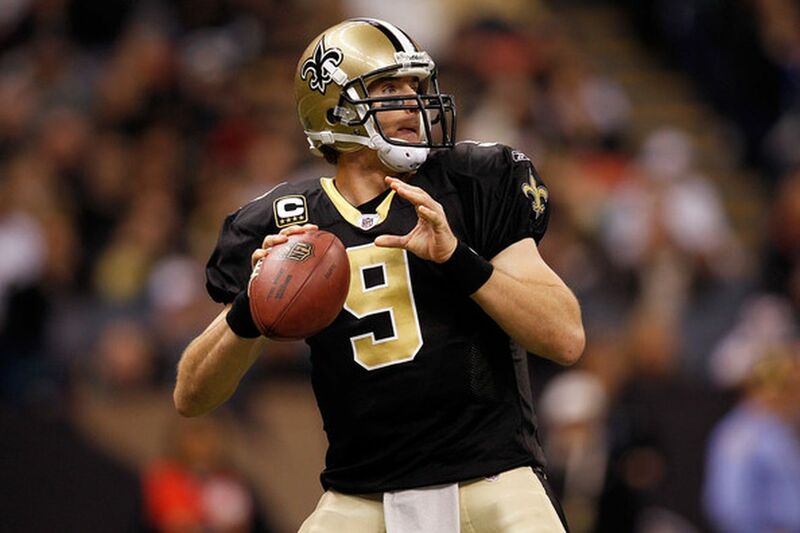 This game is projected to be a very high-scoring game (59 o/u) but the Saints are big home favorites. The game script would call for heavy doses of Ingram down the stretch. Kamara will garner a ton of ownership, especially compared to Ingram but you can be contrarian by playing them both. These guys are going to eat. I am not sure which one will be the lead dog so why don’t we go ahead and play both of them. Why choose between the Apple Pie and the Cherry Pie for dessert? Have both. As good as the Bears are against the run, they are nothing special against Running Backs out of the backfield running routes. Only five teams have given up more receiving touchdowns to RBs than the Bears this year. Chicago is favored in this game and if Mitch Trubisky plays then I would expect that to hold true. 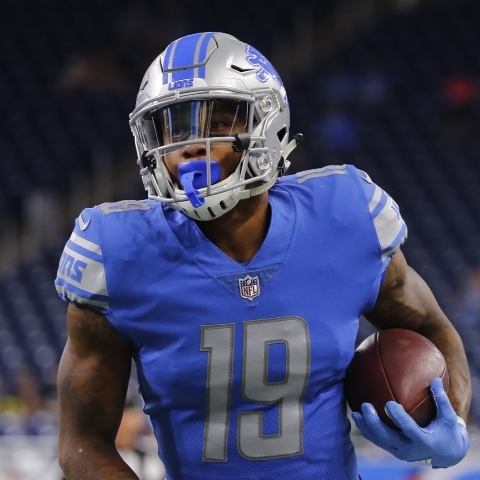 The Lions are short-handed in the receiving core (Marvin Jones, Jr. hurt, Golden Tate traded, and Eric Ebron not good (oh, wait – my bad – he’s teasing Colts fans now). Combined that with the fact that they should be playing from behind, I like Theo Riddick’s potential. He is a non-factor in the run game, but he can come out of the backfield or even line up in the slot. Certainly, he is not a sure-thing but you should be able to count on about 9-12 DKFP (he is not as good of a value on FD). Riddick has yet to score a TD this year. 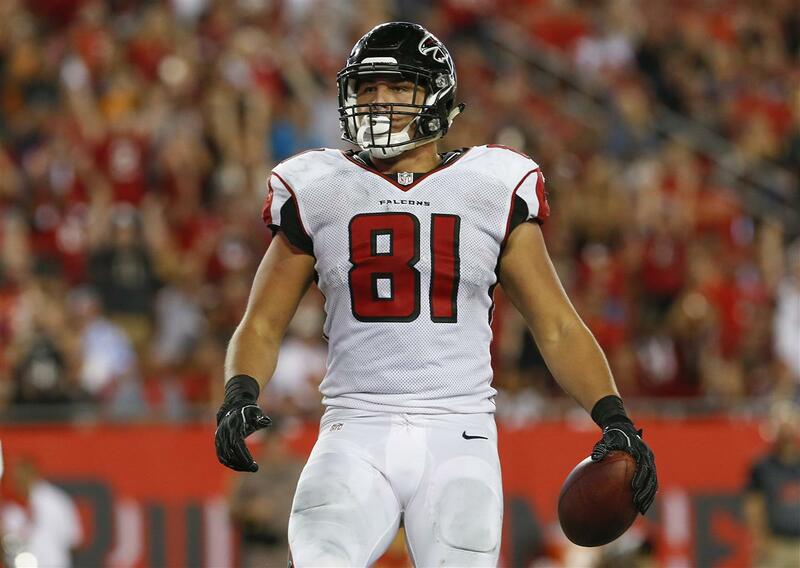 If variance evens itself out this week, he could help your lineup immensely. If you don’t want to go with Riddick but don’t want to pay up for Ingram, Kamara, or Zeke, I don’t hate saving a few bucks by playing Jordan Howard ($4,100-DK, $6,100-FD) or Tarik Cohen ($5,300-DK, $6,000-FD). I just don’t love those plays compared to the floor of Riddick and the positive touchdown regression that is sure to come at some point (this week – fingers crossed). You might talk yourself into some Blount on Thursday but don’t be fooled. Even though Kerryon Johnson won’t be playing doesn’t mean that Blount will be a good play. Even if he is the goal-line back, he is unlikely to get enough guaranteed opportunities to win you a tournament. I know that it is tempting, especially on FanDuel where touchdowns are more valued (which is what Blount’s specialty is) but don’t overthink this. Blount is not efficient, and he isn’t productive enough to be relied upon. He is averaging 2.3 yards per carry this season. In the first matchup against the Bears, he had 4 carries for a total of 6 yards. Could he score multiple touchdowns? Yes, because he is Blount Force Trauma. The more likely scenario is that the Bears continue to dominate as they have given up only one rushing TD all year. Even if he had multiple touchdowns like he had in Week 5 against the Packers, he still only had 14.2 fantasy points on both DK and FD. That is a decent return on value but not enough to win you much money. Michael Thomas ($8,900-DK, $8,800-FD) and Julio Jones ($8,300-DK, $8,800-FD) are both awesome plays and if you can fit them in, then do it. They are the obvious best WR plays from an equity standpoint. It is totally your preference on which one to play. It’s like steak or chicken at a wedding reception. You probably can’t have both even though they are both delicious. You have to choose one (unless, for fantasy purposes, you fade Ingram, Kamara, or Zeke at RB but that is not recommended). Golladay has seen 14 and 13 targets in the last two games. He has 48.1 DKFP and 38.1 FDFP in the last two games. That is very comparable to Jones and Thomas but you get Golladay at a discount. He is the only weapon Stafford has left in his arsenal. As good as the Bears are defensively, they are susceptible to Wide Receivers. In Week 10, Golladay had a 6-78-1 stat line against the Bears. He is a stud and a value play all wrapped up in one nice little package. He is not necessarily good at football but the Lions have a depleted roster and he was 2nd on the team last week with his 9 targets. This is really only a DraftKings play as he is nearly min-priced. He caught 6 passes for 52 yards earning 11.2 DKFP. He had 13.7 DKFP in Week 1 against the Patriots when he was still playing for the Texans. These numbers are nothing to write home about but at this price, getting someone at 4X value on a 3-game slate can pay off. This is purely a speculative, high-risk, high-reward type play. You can certainly use him on DK but he is much better on FD than the other options (though I don’t hate Michael Gallup’s potential at $4,900). Gabriel can have an eruption spot at any time as evidenced by his 7 catch, 104 yard, 2 touchdown performance in Week 4. He followed that up with 5 catches for 110 yards the very next week. He can also go for single-digit fantasy performances like he did in Weeks 7-10 (including a goose egg in Week 10 vs. the Lions). The difference this time out could be Darius Slay. The Lions’ shutdown corner sat out Week 10 and Allen Robinson went bonkers. Slay is back and will most likely shadow Robinson opening up more opportunity for Gabriel. As we mentioned in our value pick, should see a heavy dose of Darius Slay on Thanksgiving Day. The Lions do not want to see a repeat of Robinson’s 133-yard, 2 touchdown game from Week 10. More than likely, he would not have seen that kind of fantasy goodness if Slay had been healthy that game. That game was Robinson’s only game with more than 85 receiving yards this year. I wouldn’t say he is a total fade if you are playing multiple lineups but if you are playing only one or two lineups, I’d probably look elsewhere. We normally like home favorites that will be lower-owned. The Bears are traveling to Detroit and will probably be the highest owned DST on the slate. However, they’ve been priced up most of the year and have delivered. The Bears have reached double-digit fantasy points in 7 of their 10 games this year, including a 12.0 DKFP performance two weeks ago at home against Detroit. DST is never a guaranteed position, but I have been playing the Bears with confidence all year and with Marvin Jones, Jr. and Kerryon Johnson expected to sit this game, I like the Bears even more. Plus, remember that Matt Stafford got sacked by these aggressive Bears 6 times in Week 10. Stafford has been sacked a total of 17 times in the last three games. Khalil Mack is gonna eat! I am not in love with this play, but it makes some sense on FanDuel as they are $1,000 cheaper than Chicago. On DK, you might as well play the Bears for $300 more. The last time the Redskins played the Cowboys (granted it was in Washington), they earned 15 DKFP when they forced 2 fumbles, had a defensive TD, and sacked Dak Prescott 4 times. I don’t expect that same production this time, but this slate’s DSTs are slim pickings. Washington isn’t a bad play as they have reached double-digit fantasy points in 4 of their last 5 games. Granted, they are not all that expensive, but they are still the most expensive DST on the slate. Considering that they’ve had double-figure points only twice all year, they are not a must play option. I know that they are going against Colt McCoy and are a home favorite, but this game should have a slower pace and be run oriented. Not as many opportunities to get pressure on the QB and force turnovers. Obviously, it is Colt McCoy but I prefer to save even a few hundred dollars instead of chasing a Thanksgiving day aberration from this defense. There is a good chance that the Cowboys DST and Ezekiel Elliott stack will be a popular one. I just don’t see the Cowboys putting up a slate-winning performance on defense.